KING Real Estate Group, Committed to Excellence! Karen King and her team have been serving Eastern Oklahoma County Real Estate for over 25 years! As Broker of KING Real Estate Group, Karen oversees a team of experts who stand ready to serve your real estate needs across Eastern Okalahoma. The KING Real Estate Group not only sells property across Midwest City and Choctaw, we live here too! We have a passion for our thriving community! 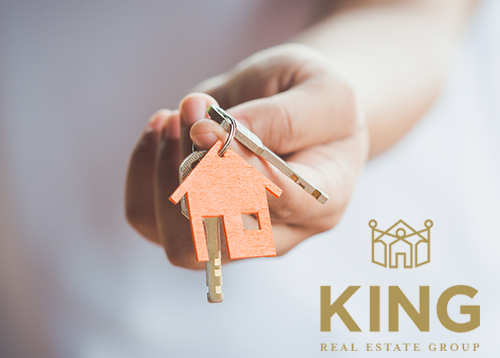 KING Real Estate Group is committed to keeping their clients informed during every step of the selling or buying process. Our goal is to create long time clients as well as endearing friendships along the way. Contact us so we can keep you updated on the latest real estate activities in our community, and answer any questions you may have. ©2019 MLSOK, Inc. We do not attempt to verify the currency, completeness, accuracy or authenticity of the data contained herein. Information is subject to verification by all parties and is subject to transcription and transmission errors. All information is provided “as is”. The listing information provided is for consumers’ personal, non-commercial use and may not be used for any purpose other than to identify prospective purchasers. This data is copyrighted and may not be transmitted, retransmitted, copied, framed, repurposed, or altered in any way for any other site, individual and/or purpose without the express written permission of MLSOK, Inc. Data last updated: 2019-04-21T00:02:09.497.